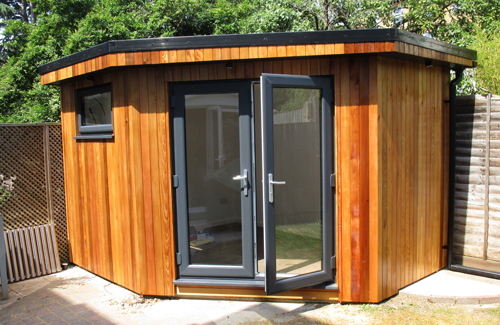 What sets us apart from other Garden Room suppliers is that you are not tied to set dimensions and designs, we build exactly what you want. 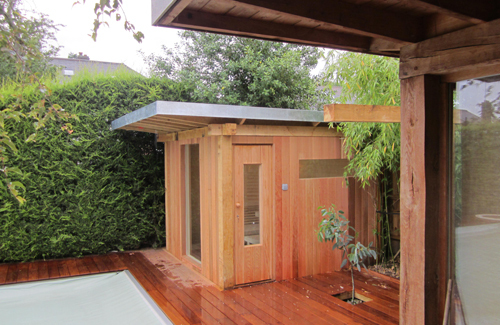 So without being confined to shape and size we can design and build to any garden corner or nook and cranny. 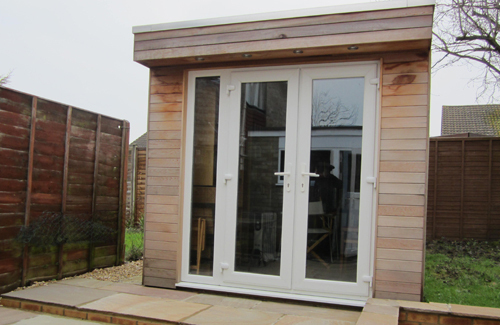 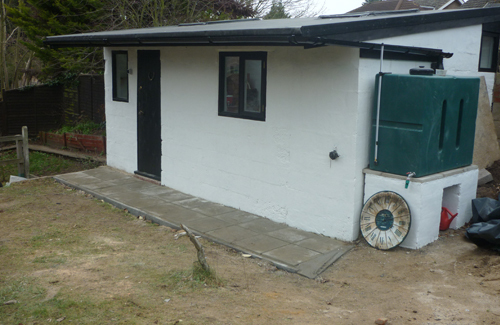 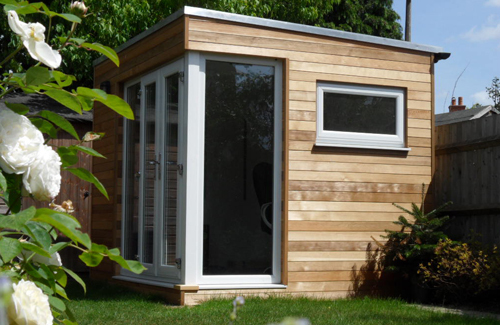 Which means we build small and unusual Garden rooms! 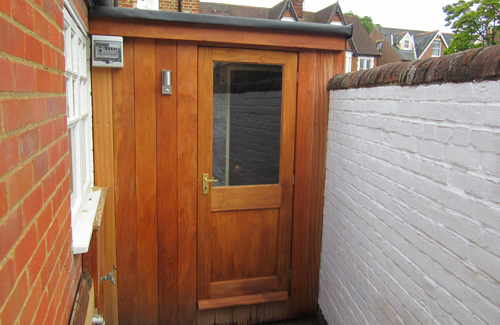 But as many of our clients have small city gardens where efficient use of space is paramount, small and unusual is often very welcome. 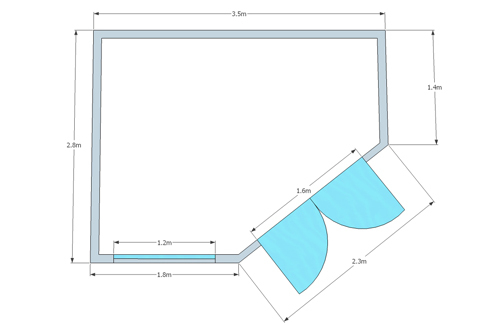 Garden corners, even if irregular are no trouble for us. 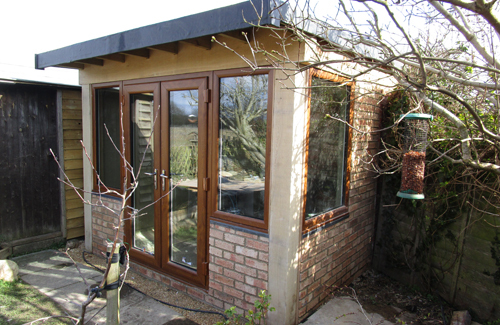 We build to fit, often resulting in a diamond shaped building with glazed French doors looking over the garden. 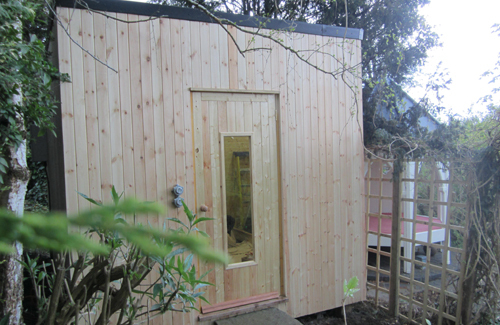 And with our clever zero maintenance cladding system on rear ‘hidden walls’ we are able to build right up the fence, so no space is wasted. 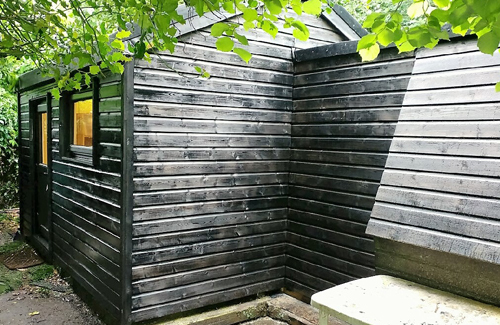 The zero maintenance cladding far out lasts any wooden fence, so when you replace the fence you can check the cladding – you will find it will be fine! 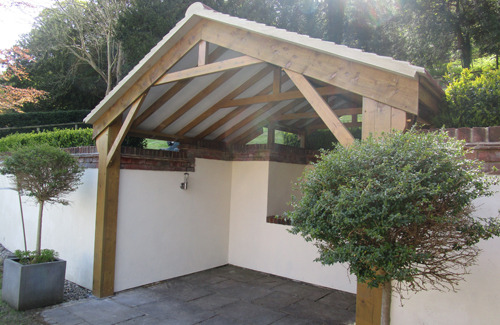 If you have a high brick garden wall why not incorporate it into the garden room? 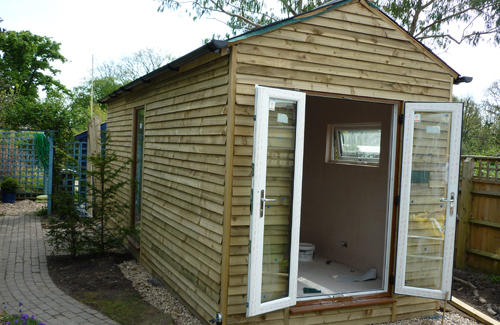 It saves space, and with one wall already built, it saves money as well. 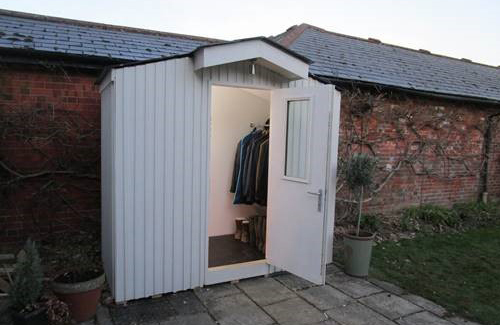 We can even build in passages between walls – have a look at our photo, saving more space and more money. 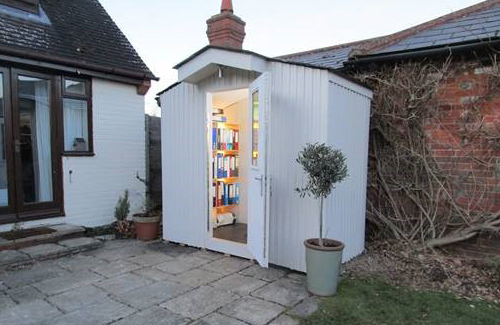 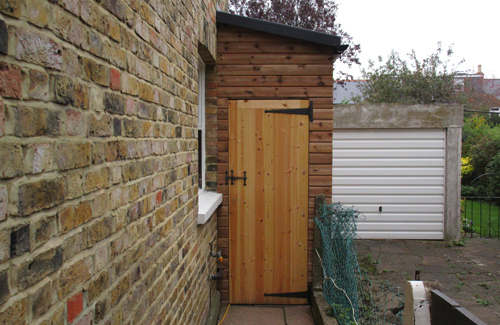 Walk through garden sheds are popular and particularly good at space saving.